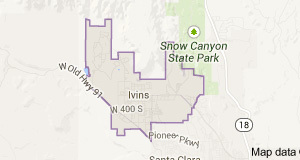 Ivins is a city in Washington County, Utah, United States and is part of the St. George Metropolitan Statistical Area. The population was 6,753 at the 2010 Census, and it was estimated at 6,930 in 2011. 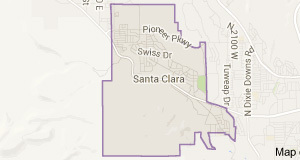 Santa Clara is a city in Washington County, Utah, United States and is part of the St. George Metropolitan Statistical Area. The population was 6,003 at the 2010 Census, up from 4,630 at the 2000 census.